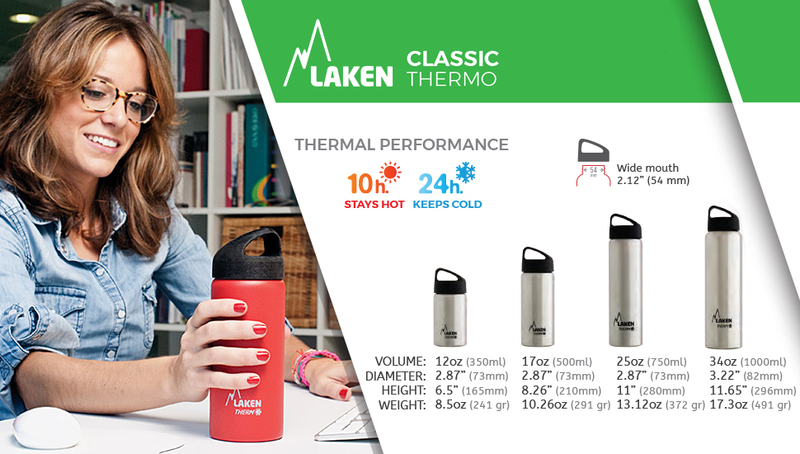 Laken’s wide necked Thermo Classic Bottle with external threading for comfortable drinking and pouring. The wide screw-on cap has a jaunty handle for easy opening and closing and an insulating layer for better performance. 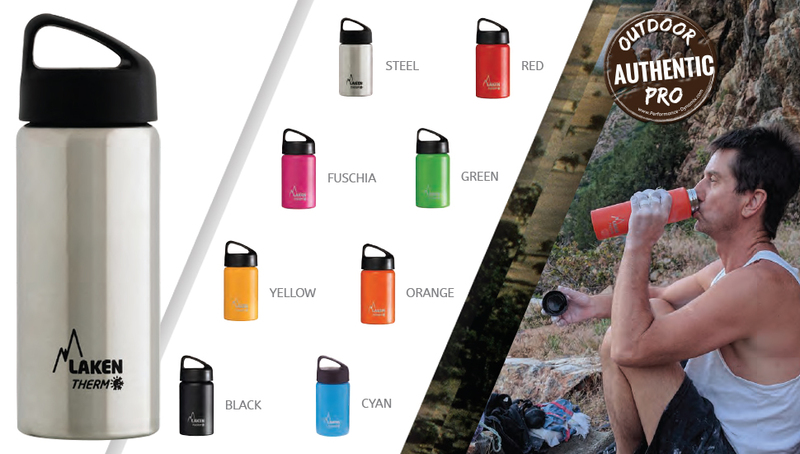 The bottle has a capacity of 25oz (750ml) and it keeps your iced drinks cold for up to 20 hours and hot beverages hot for up to 10 hours.